60" x 34" x 22" - Rectangle Tub with Tile Flange & Skirt. 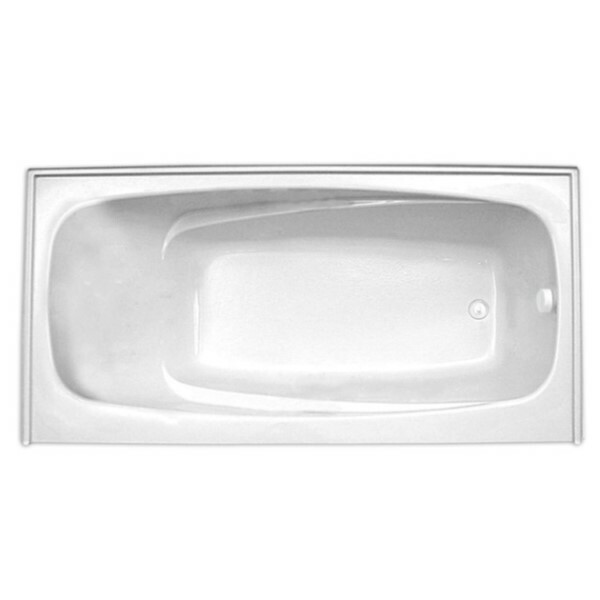 Wider than the average tub, this alcove bath, it is designed to slide between 3 walls. Integral tile flange and front skirt and the choice of left or right drain. 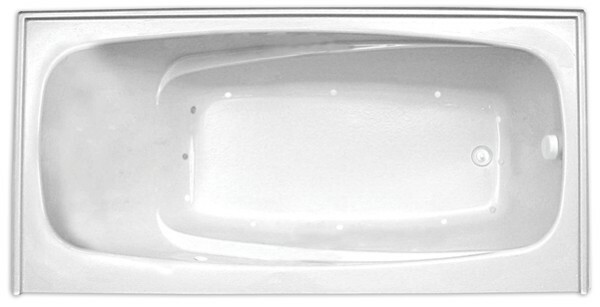 The front skirt has a removable panel for access. 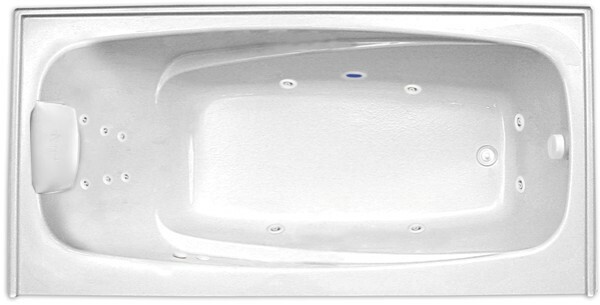 Find soaking tubs or heated soaking tubs. 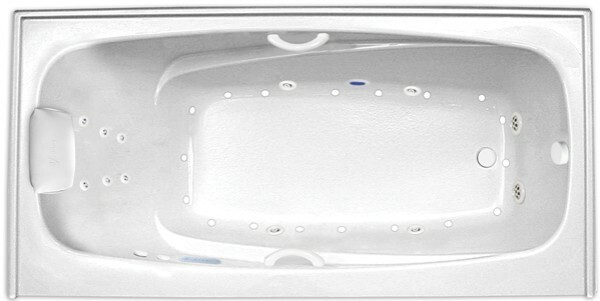 For those that want a massage look to the air, whirlpool or combination jet tubs. 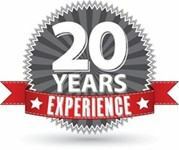 In fact there are 11 styles to choose from so you are sure to find the perfect bathtub for you. 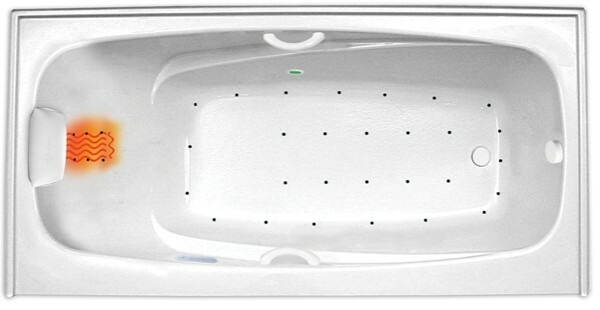 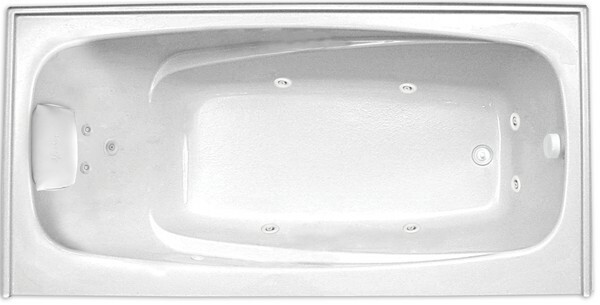 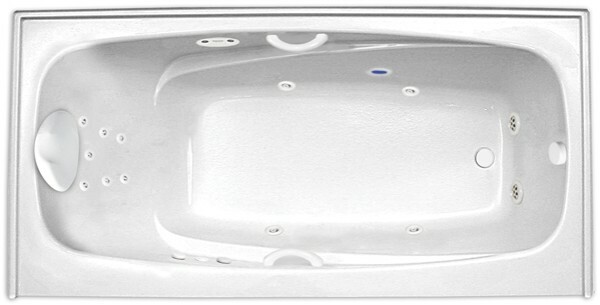 Tub Size: 60" x 34" x 22"
Depth to Overflow (center): 15"